The garage door installation experts in Jonesboro, Georgia, are the technicians at 31-W Insulation. If your old garage door is worn out, damaged, not functioning properly, or otherwise creating an eyesore, it’s probably time to have it replaced. 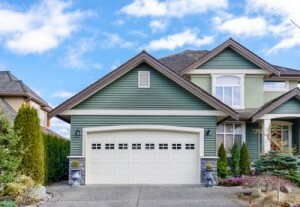 A new garage door can increase your property value, enhance your home’s curb appeal, and provide a safer entrance and exit in your home, making it a worthwhile investment. Durable – Built from steel and constructed to resist high winds, your new door will last for years to come. Energy efficient – A layer of insulation improves thermal efficiency and also allows for quieter operation of your garage door. Customizable – You’ll be able to select the color, finish, and windows that perfectly suit your home in Jonesboro, GA. Safe – Specially designed hinges and bottom brackets help protect against finger and hand injuries while the door is in operation. In addition to the many features that come with an Amarr® garage door, you’ll also benefit from the professional garage door installation that our skilled technicians provide. At 31-W, you can be sure that only factory-trained employees will complete the installation, ensuring that it’s done right the first time for a safe and secure fit to your home. If you’re ready to get started with our garage door installation services, contact 31-W Insulation today. We will be happy to schedule a no-obligation consultation at your Jonesboro, GA, home.